President Xi pointed out that Confucianism believes that "a just cause should be pursued for the common good" and champions harmony, unity and a shared community for all nations. The streamers point to a commonality between Daoism and SCO. President Xi Jinping stressed the significance of Confucianism as a major component of Chinese culture in Qingdao on Saturday, telling the participants to the 18th Shanghai Cooperation Organization summit that Shandong Province was the home of Confucius. The President pointed out that Confucianism believes that “a just cause should be pursued for the common good” and champions harmony, unity and a shared community for all nations. Shandong people’s emphasis on li (rituals) and principles is often attributed to the influence of Confucianism, in spite of the vicissitudes the school of philosophy has experienced in modern times. Since Confucianism became enshrined as the orthodoxy of the Western Han Dynasty about 2,000 years ago, it has been exerting a powerful influence on Chinese outlook and attitudes until early last century, when it was declared obsolete and unsuited for the modern world. Apparently, a reevaluation of this legacy is crucial for building Chinese people’s confidence in its native culture, as well as countering pernicious influences from the outside. Obviously, the SCO summit over the weekend afforded the coastal city a good opportunity to demonstrate its cultural legacy. At the SCO Media Center, translations of Confucian’s Analects and other Chinese classics were available in Russian and English, and I was told the copies had to be constantly replenished. This emphasis on culture is probably indicative of a paradigm shift. When the SCO was founded 17 years ago, the organization was primarily focused on trans-border security. It has gradually expanded its agenda from security to economic, and now to cultural cooperation. It is a natural extension given what SCO stands for as it expands and develops. As many have pointed out, so diverse are the cultures of the SCO members, observers, and dialogue partners, that any kind of effective cooperation would entail deep understanding of different cultures among its peoples. Hence one of the central SCO principles is respect for cultural diversity. This respect could only be nurtured by greater exchanges in the field of education, culture, tourism, and other cultural enterprises. 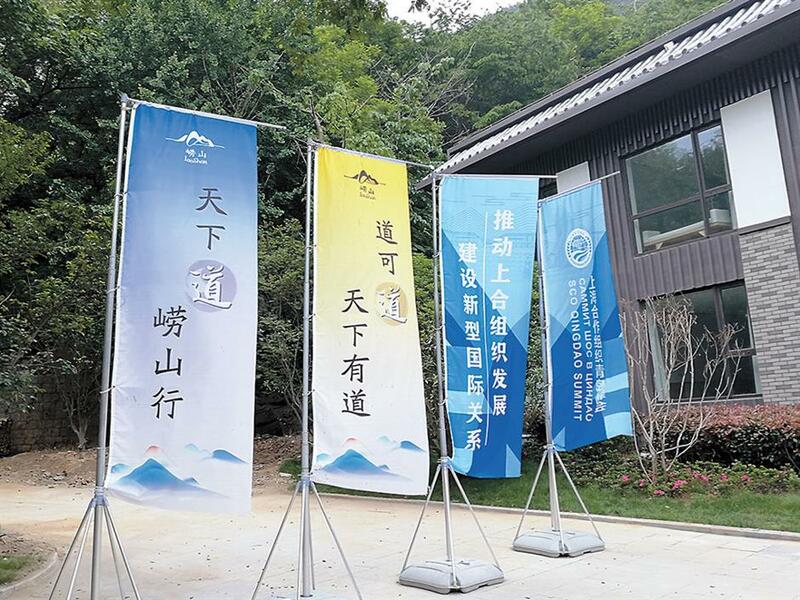 During the summit over the weekend, the host city had arranged press tours to some economic and cultural spots — from the former residence of local celebrities (such as writer Lao She), to automated containerized terminal, the city’s world famous beer maker, to a Daoist temple in Laoshan. The temple, Taiqing Gong, has a history of 2,100 years (a tree believed to have been planted by Zhang Lianfu, the founder of the sect, is one of the many attractions). For one thing, this tour helped me realize that the essential Daoist principles are quite similar to the ideals espoused by SCO. We had the privilege to be guided by a Daoist whose soft-speaking urbanity belied the depth of his expert command of Daoist principles. At the end of our trip, most of the members of the group, which included journalists who spoke Russian, Arabic and Japanese, all felt that the afternoon trip was too short to do it full justice. Such insights are valuable in this world increasingly shrunk by physical and digital connectivity. I found the brief visit to the Daoist Temple in this retreat of serenity and ancient trees deeply tranquilizing. It enabled us to view life in the longer perspective, affording us a glimpse into other possibility. For journalists of other nationalities, the tour, if anything, might be an antidote against any suggestion of universals and absolutes preached by some countries with crusading fervor.